Women in the law still struggle to overcome gender bias and catch up with their male counterparts, particularly with respect to the appointment and election of female judges. 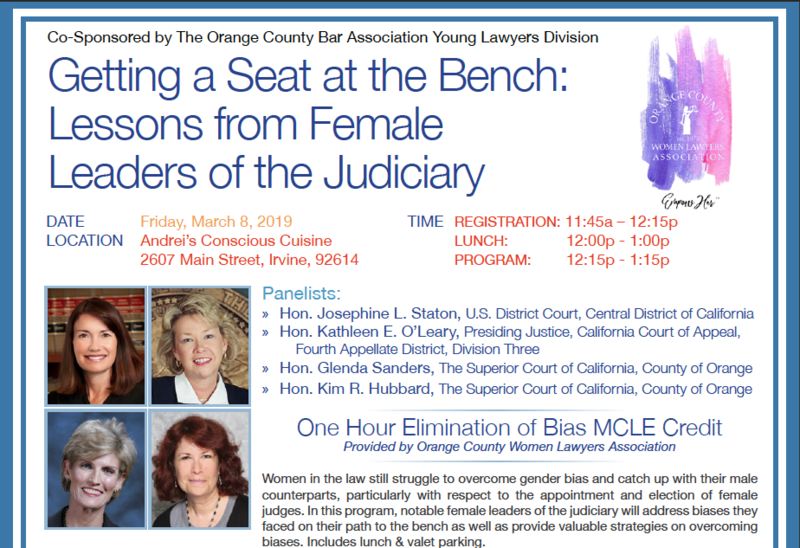 In this program, notable female leaders of the judiciary will address biases they faced on their path to the bench as well as provide valuable strategies on overcoming biases. Includes lunch & valet parking. OCWLA will collect clothing at this event to benefit WHW, a non-profit that helps unemployed men and women obtain jobs. All gently used clothing will be used to benefit this local 501(c)3 organization. Can’t make it March 8, but would like to donate? 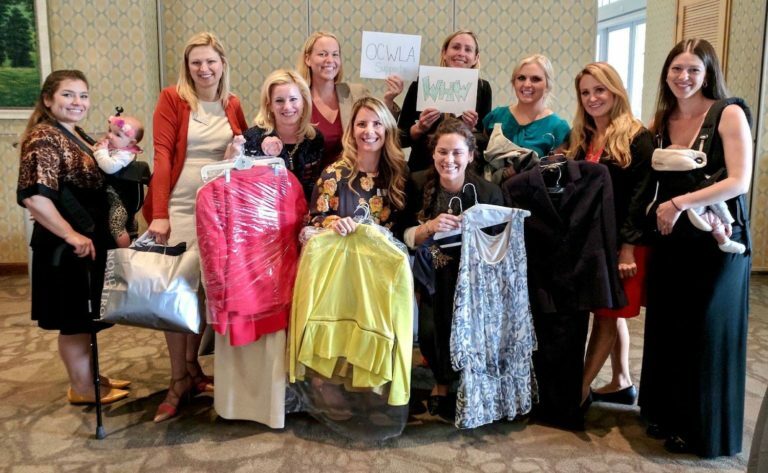 OCWLA is co-chairing Suits for a Cause this year! WHW is seeking law firms and in-house legal departments to participate in the 9th annual Suits for a Cause event. To participate, firms simply hold a clothing drive at their firm and/or donate clothing items to WHW during March. There is no cost to participate, and all participants will be invited to a complimentary breakfast honoring law firms, and will be listed on WHW’s website here.